A root canal is one of the most dreaded dental procedures. For the most part, the fear surrounding root canals is unfounded, and there may even be a reason that you need this treatment in the future. If you do experience any of these top three reasons for a root canal, prompt treatment can save your tooth and prevent the need for more expensive restorations. Tooth decay or cavities occur when bacteria that live inside of the mouth create acids that eat away at the teeth. 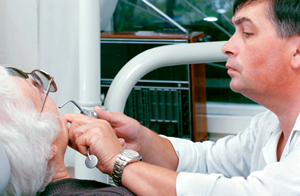 Deep decay can lead to extreme pain, infection, and even tooth loss if it isn't treated. With time, decay can affect more than just the enamel, penetrating into the center of the tooth to damage the pulp. This can be especially painful, as the pulp contains blood vessels and highly-sensitive nerves. If trauma to your mouth results in a chip, crack, or break in your tooth, you might require a root canal treatment. While minor problems may be corrected with bonding or a crown, severe breakage is required if the damage extends to the pulp. A root canal can ultimately save the tooth and prevent extraction in the future. Should you leave a cavity untreated, it can develop into a larger problem. These cavities may require large fillings, and in order to support the remaining tooth structure, you might need a root canal. If a filling is greater than a third of the tooth's width, and if the filling or decay reaches the pulp, there is a good chance of infection and inflammation, as well. In these cases, a root canal might be necessary. If you need a root canal, don't delay treatment any longer. Give our office a call today to discuss your options and how we can help to save your tooth.